Most of the negotiation advice you find centers on the mistakes all of us make. But individual differences in personality, intelligence, and outlook could also affect your negotiations. Do individual differences also matter in negotiation, and if so, how do they play out? 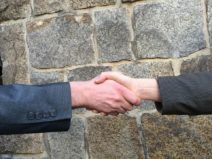 In this article, we explore emerging research that links individual traits to negotiation outcomes and suggest ways you might use this knowledge to improve your relationships and your results. A manager who becomes hostile whenever anyone questions her ideas. A neighbor who is known for putting others’ needs before his own. A lawyer who was the class valedictorian at a prestigious university. Based on these quick profiles, you might expect the first negotiator to try to bully you, the second to be a pushover, and the third to outwit you. Some of their traits could also remind you of your own negotiating tendencies—such as conceding too much to preserve relationships. It’s natural to believe that individual differences matter in negotiation. At home and on the job, most of us have encountered shrewd negotiators who always seem to get what they want, as well as those who constantly get taken for a ride. Yet most writing and research on negotiations have focused on the similarities among negotiators. We’ve learned that almost all of us make snap judgments that can cost us money and that our expectations predictably affect what we get at the negotiation table. Much of what we’ve learned so far about how negotiation styles vary has a lot to do with gender and cultural differences. We know, for example, that men tend to negotiate more often than women for career opportunities in certain environments, a gender difference that contributes to inequities overtime. Similarly, personality traits such as agreeableness and extraversion could harm you or help you depending on what country you’re negotiating in. What other differences could potentially lead to different negotiating outcomes? Positive beliefs about negotiation, such as comfort with negotiation skills and the belief that you can improve. Conflict style, such as the inclination to collaborate rather than compete, and ethical tendencies, including willingness to make false promises. Intelligence and creativity, as measured by diagnostic tests. Personality traits, including conscientiousness, openness, and self-esteem. Observable characteristics, such as gender, age, and physical attractiveness. Do such differences predict negotiation outcomes, and if so, to what degree? To answer these questions, Elfenbein and colleagues subjected a group of nearly 150 MBA students to a battery of surveys that measured these differences. Next, the students were divided into groups of four or five. Group Members then negotiated in pairs until each group member had engaged in a different simulation (including a merger and a car purchase scenario) with every other member, and each person’s ability to claim and create value was scored. This Round-robin method allowed the researchers to assess how consistently individuals behaved across several negotiations. The final results? A whopping 46% of scoring variations could be tied to consistent individual performance differences across interactions. In other words, differences among negotiators were responsible for almost half of their outcomes. These differences influenced both their own behavior and their counterparts reactions—and mattered a great deal to the outcome of their negotiations. How do you think personality and individual differences affect negotiation skills? Do you have an experience to share? Leave us a comment and let us know your opinion.